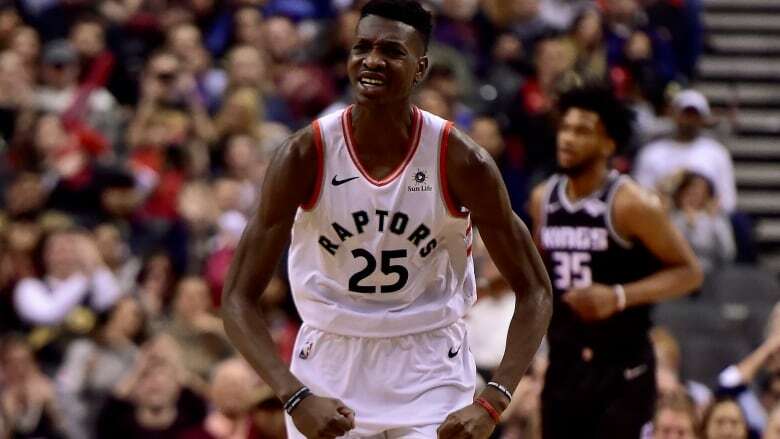 The Toronto Raptors announced on Sunday that the club has signed Canadian forward Chris Boucher, converting him from a two-way contract to a standard NBA contract. Canadian Chris Boucher has been upgraded. The Toronto Raptors announced on Sunday that the club has signed Boucher to a standard NBA contract. Terms of the deal were not disclosed. The six-foot-10 forward was previously playing on a two-way player contract that he signed with Toronto Oct. 12, 2018 and started the campaign with the Raptors' G-League affiliate. The 26-year-old Boucher spent 2017-18 with the Golden State Warriors on a two-way deal, appearing in one NBA game while playing 20 more for the Santa Cruz Warriors, their NBA G League affiliate. Toronto also signed Malcolm Miller, another depth forward who has spent time with Raptors 905, to a standard NBA contract. The six-foot-seven Miller is averaging 8.2 points, 2.5 rebounds and 22.8 minutes in six games this season with Raptors 905.